← Night Out is Tuesday, August 5th! 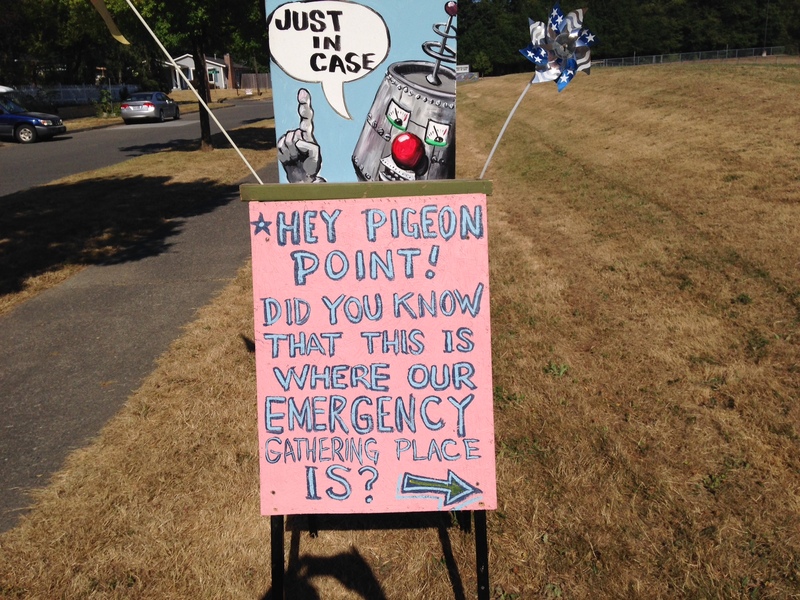 New location, and new signs, for the Pigeon Point hub! You may have seen these signs on the West Seattle Blog or in person, but we wanted to call them to your attention here as well. Pigeon Point neighborhood leader, Pete Spalding sent the photos to us earlier this month. 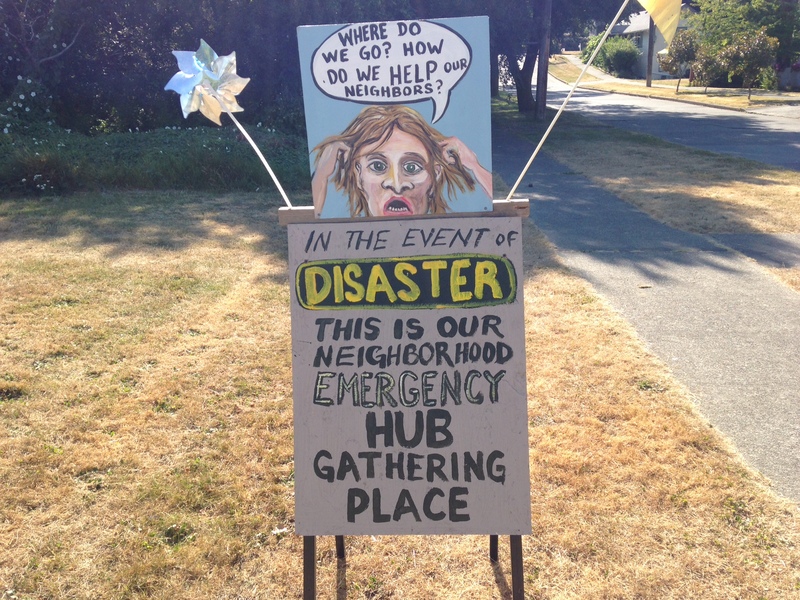 The signs by artist Jim Sander call attention to their new emergency communication hub location, which has moved 2 blocks south: from 20th Ave SW and SW Andover Street to 20th Ave SW and SW Genesee Street. Note that the Pigeon Point hub is one of two hubs that have moved to a new location. The other is the Morgan Junction hub which has relocated slightly to the north of its former location; it has moved from the Thriftway store parking lot to Morgan Junction Park. Last but not least, we also have a NEW hub in the Highland Park neighborhood: at the Highland Park Improvement Club. Our updated hub map below shows these changes. You can find more details and a printable copy of our map here. 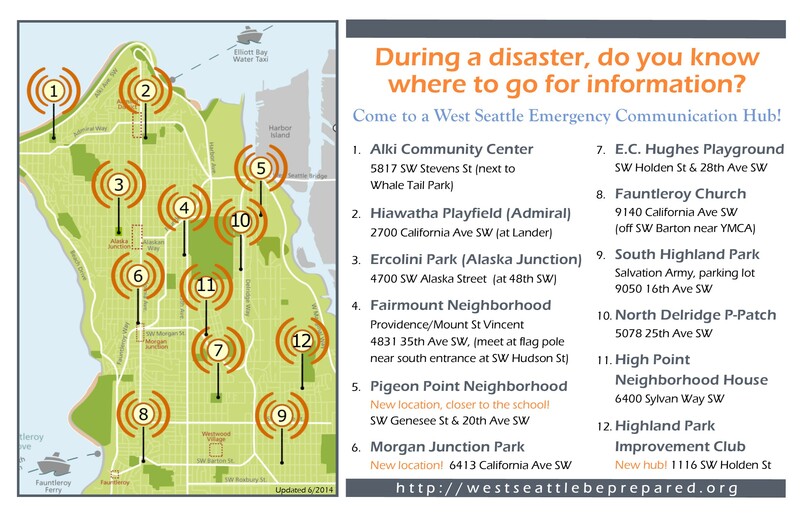 This entry was posted in Announcements, West Seattle Be Prepared and tagged Jim Sander, Pete Spalding, Pigeon Point neighborhood, West Seattle Emergency Communication Hubs, West Seattle emergency preparedness. Bookmark the permalink.